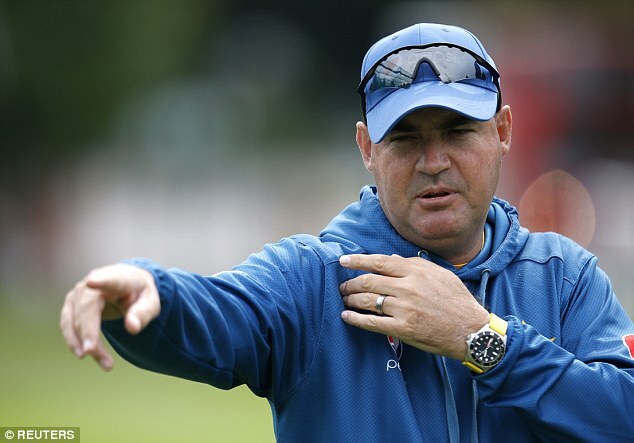 The merry-go-round of coaching jobs in international cricket inevitably leads to awkward reunions but few could be more thorny than Mickey Arthur´s encounter with his old team Australia. Three years after being sacked as the side´s head coach, the South African will hope to guide Pakistan to a breakthrough test series win Down Under, with the first match starting in Brisbane on Thursday. Coaches rarely get to choose the manner of their exit but Arthur´s dismissal was especially acrimonious, and the trigger for a high-profile severance claim against his former employers Cricket Australia. He was less than two years into the post when his tenure began to unravel during the 2013 tour of India where Michael Clarke´s team were whitewashed 4-0.Four players were stood down for a test during the infamous ´homework-gate´ scandal and months later, opening batsman David Warner punched England´s Joe Root at a bar on a boozy night out during the Champions Trophy tournament in London. With team discipline appearing in complete disarray, Arthur was dismissed three weeks before the Ashes and replaced by Darren Lehmann, who remains Australia´s coach. A resident of Perth for over six years, Arthur said he felt no extra motivation in beating the home side. “We just want to win every test series we play,” the 48-year-old told local media in Brisbane. But he was aggrieved by the dismissal and the blow smarted for years. A leak of his testimony during his legal challenge against Cricket Australia painted the team as dysfunctional and driven by a personality clash between captain Clarke and vice-captain Shane Watson. He later described his coaching environment as “suffocating” in a book last year and said Lehmann was the ultimate benefactor of his dismissal, given the autonomy that Arthur said he personally craved but was never afforded. Three years on, Arthur faces an Australian team emerging from another crisis but with head coach Lehmann given the chance to right the ship. Arthur may have intimate knowledge of the Australian system, but the personnel have changed. Of the team he coached to a fourth consecutive test loss in India in 2013, only captain Steve Smith, wicketkeeper Matthew Wade, Warner and spinner Nathan Lyon are likely to face Pakistan at the Gabba. While coaching Pakistan to a 2-0 test series loss in New Zealand last month, Arthur would have noted with interest how South Africa were able to humble Australia 2-1 on home pitches, without pace spearhead Dale Steyn and regular captain AB de Villiers. He would have recognised the criticism that rained down on the Australian team from pundits and former players and washed away chairman of selectors Rod Marsh and a string of under-performing players. Most familiar to Arthur, however, may be Australia´s ability to regenerate and come roaring out of the abyss. Within a year of his sacking, Australia whitewashed England 5-0, enjoyed a rare series win in South Africa and re-captured the top ranking in tests. Last month, a raw Australian team featuring four debutants thrashed the Proteas in the dead rubber test in Adelaide, giving home fans hope of another quick renaissance. “Every team has got a cycle so it happens to every team,” Arthur said of the home side´s run of five losses from six matches. Since taking the Pakistan job in May, Arthur has played a part in the south Asians´ own revival, which has included taking the top test ranking for the first time in August following the 2-2 draw in England. It was a brief reign and they have since slipped to fourth on the table behind third-ranked Australia after their disappointing New Zealand tour. No team from the subcontinent has ever won a test series in Australia but Arthur has form breaking droughts, and led the Proteas to a first series win in the country in 2008.”For these guys to come here and win would be amazing,” he said.